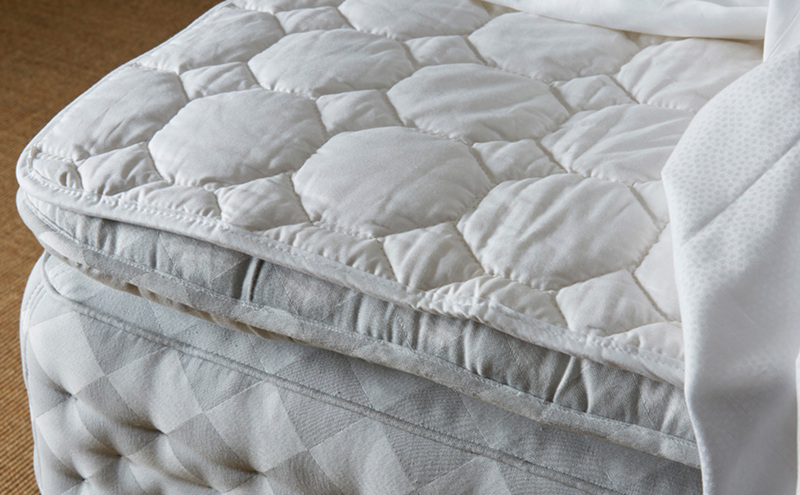 100% Quilted Cotton Mattress Protector. Simon Horn mattress protectors are 100% cotton. This aids in keeping cool. They come with an elastic strap at each corner which will fit under the mattress or topper corners. We recommend washing at 60° and DO NOT TUMBLE DRY.